Here's my haul from Printcious, loving them! We love the material of the shirts. You can click on the link above to read if you have missed out reading the post. The designed I have chosen is the way we loved it. My son and me sure love this mother and son shirts! Oh why didn't I order one more for my 4 years old son. I shall check again if there's size suitable for him. 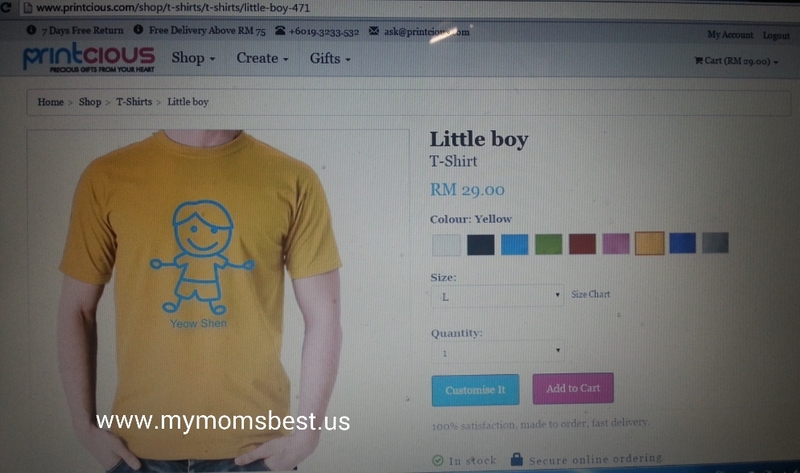 I do recommend this site if you love to diy shirts for your precious ones. After all Printcious is user friendly website. Online shopping with Printcious makes easy, I just click on custom it. I can add on the name or anything I like at the bottom of the boy picture. I chosen yellow color as we seldom wear yellow color shirts. I am in love with their designs, so many to choose from. Saw some of my friends chosen pillow customize with family photo on it. If you don't want to have shirts, you can also choose mugs. I love shirts as I can wear different shirts everyday. If you are planning for family trips, I know some friends like to go family trips wearing the same shirts. This is where you can find all the sizes for precious ones. The size starts from S to XXL size. If you want to purchase plus size XXL shirt, they have it too. Christmas is just weeks away, have you think of what present for this Christmas? 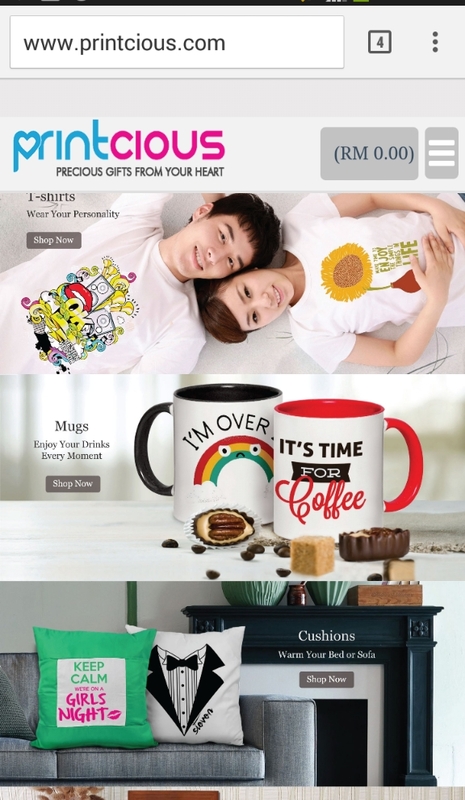 Why not choose mug for your loved ones? Mug collection runs well in the family, each and every member in the family get to have a different mug. You can even add your name the mug. Many choices of mug available at the website, the website is user friendly and easy to browse. 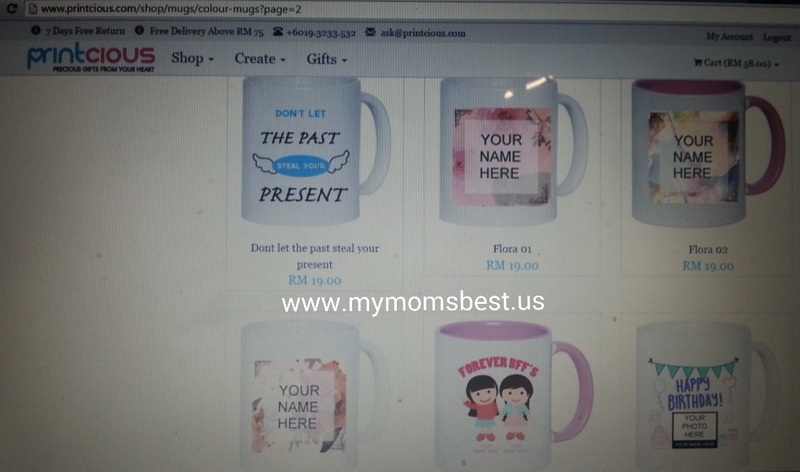 You can even add photo of your precious ones to the mug. Get start to DIY your gift ideas with Printcious. I can also access the website of Printcious on the smart phone. Some of my friends have started asking me where to print these shirts, they like to know more. Payment made you can choose to use online banking or cash deposit machine. Do check out Printcious now to shop for your precious ones. You can create an account or login using your Facebook account. Nice, I print my own t-shirts with my own designs but always wonder where I can go to put my name on other materials like mugs and plates. Nice share. I like your shirts. Just ordering mine today for me and my son. Hope to get it soon. Now this is a great idea for presents and also doorgifts. I hope the price is reasonable too. Can get discount if buy in big numbers Sherry? Oh customized goods! Hehe. Suitable for family or those currently dating hehe. And printed mugs would be an ideal present too. Very lovely t-shirts. I have mine printed as well. Nice design and I also receive mine. satisfied with the quality. I like the T-shirt designs. Will check it out. This is pretty... I like it... you got one for your son and yourself... nice!!!! Wanna order couple t shirt hehe. Will order once I decide the t shirt design. hey it's so nice to wear the couple shirt with your boy haha. cute kid he is. Haha!~ This is so nice! Mummy and boy's shirt! Like your personalized design! wow...so fast u got it already!! i shall order it by this 2 day!! I should get a try. Thanks for sharing. Was thinking to make a t-shirt as present. It was a lovely website and idea to have our own DIY Gift idea! 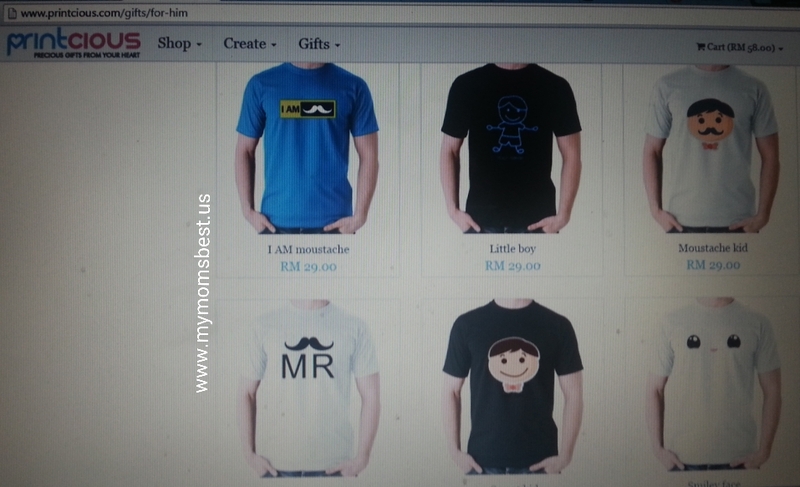 Definitely will use this website to print my couple shirt with my boyfie hehe! Beautiful designs and would love to try for my kids too.